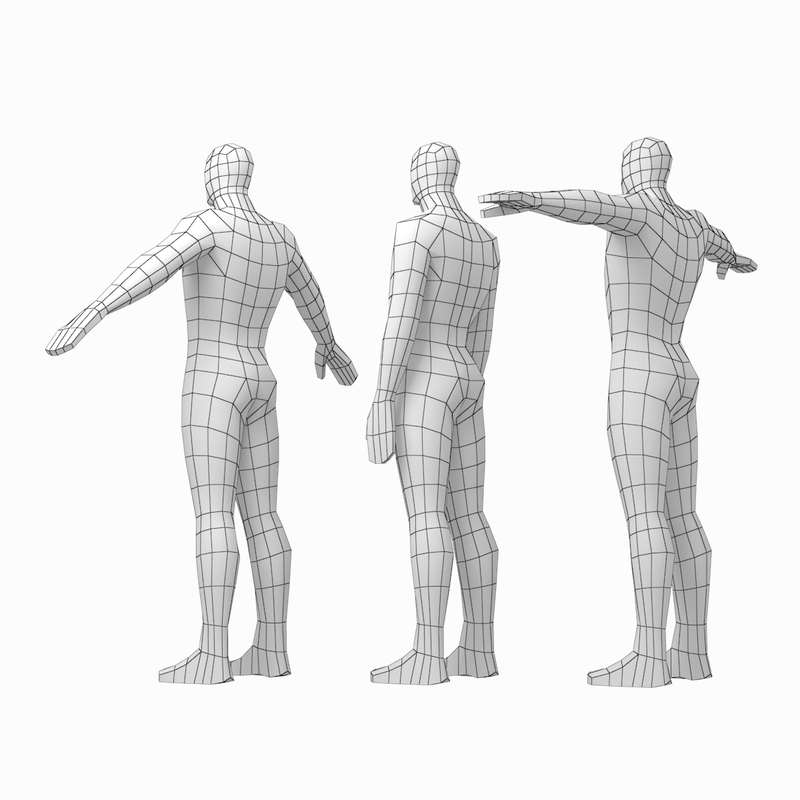 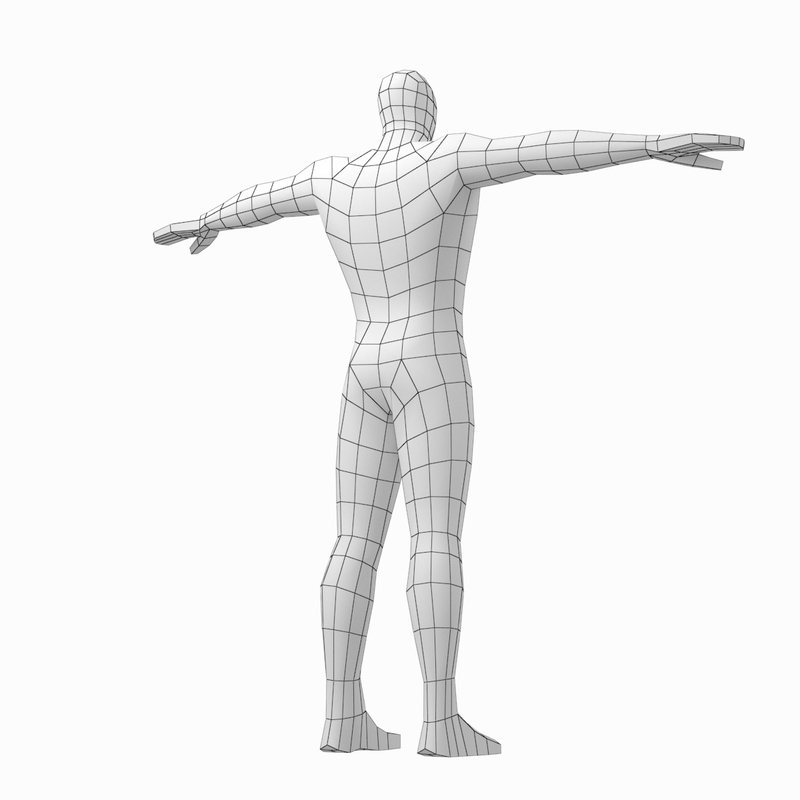 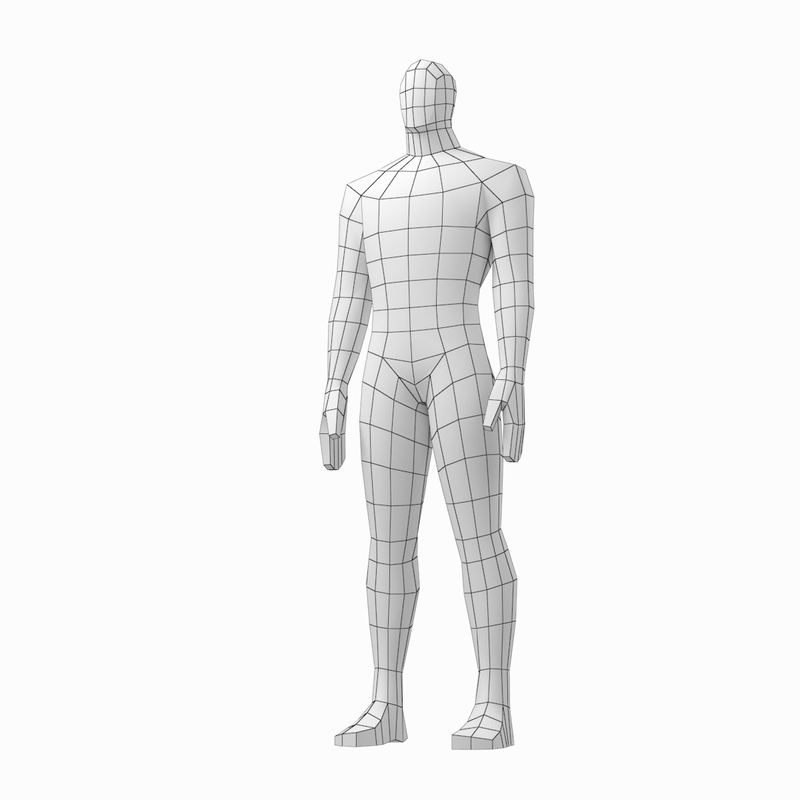 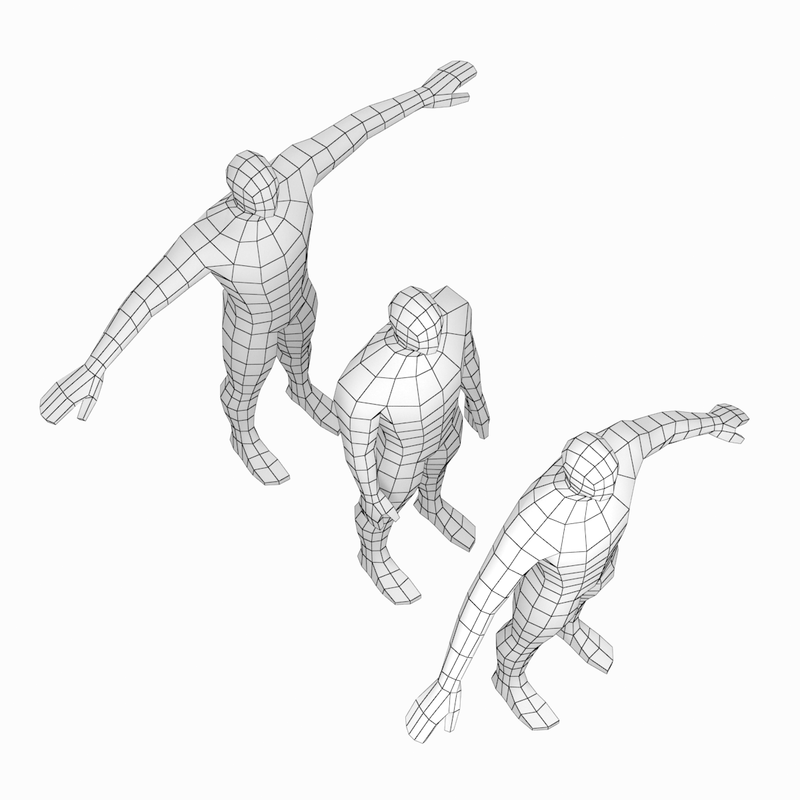 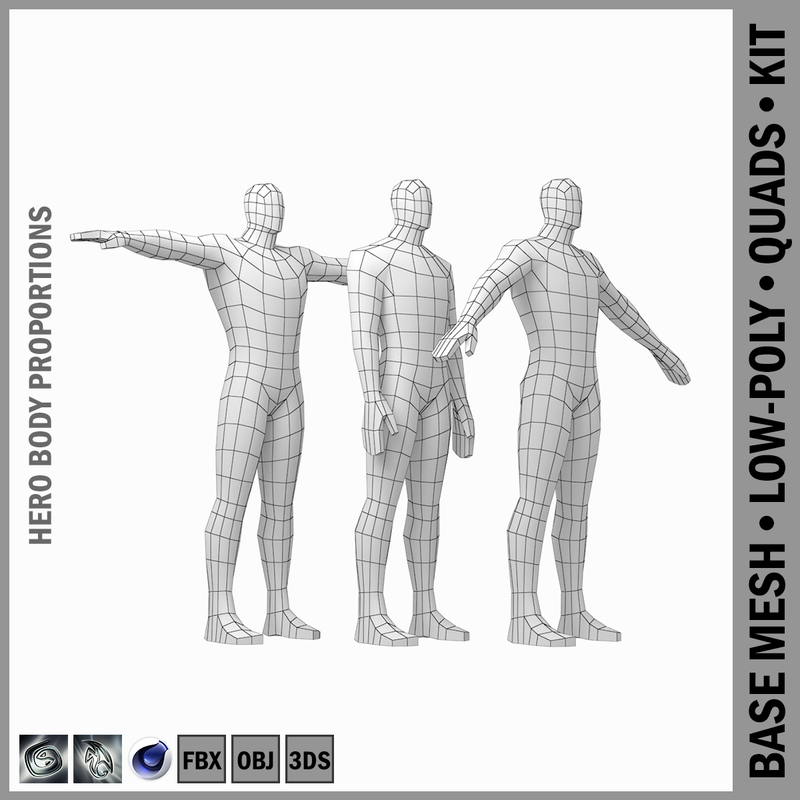 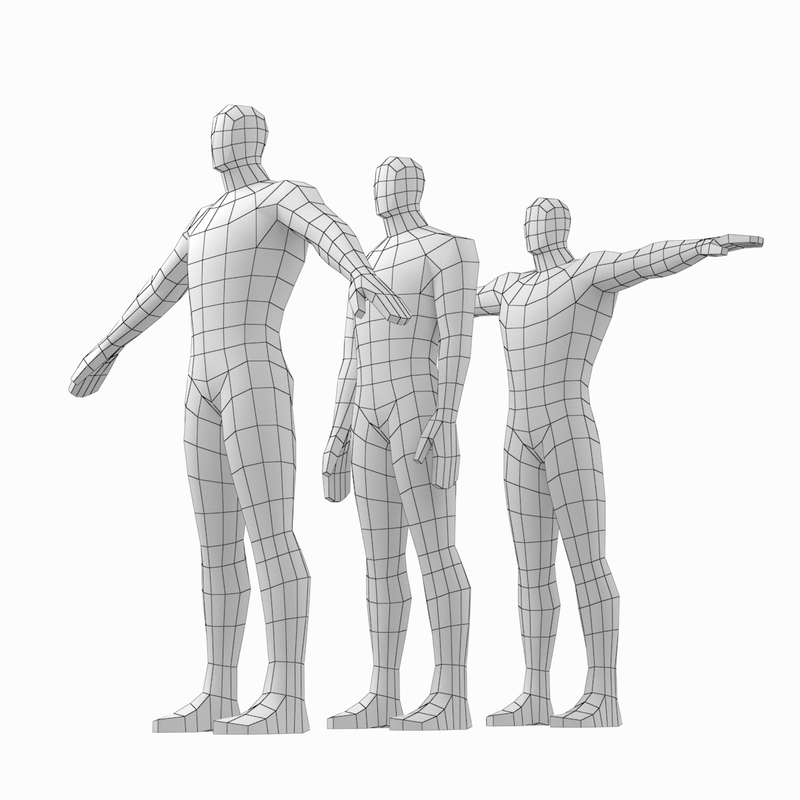 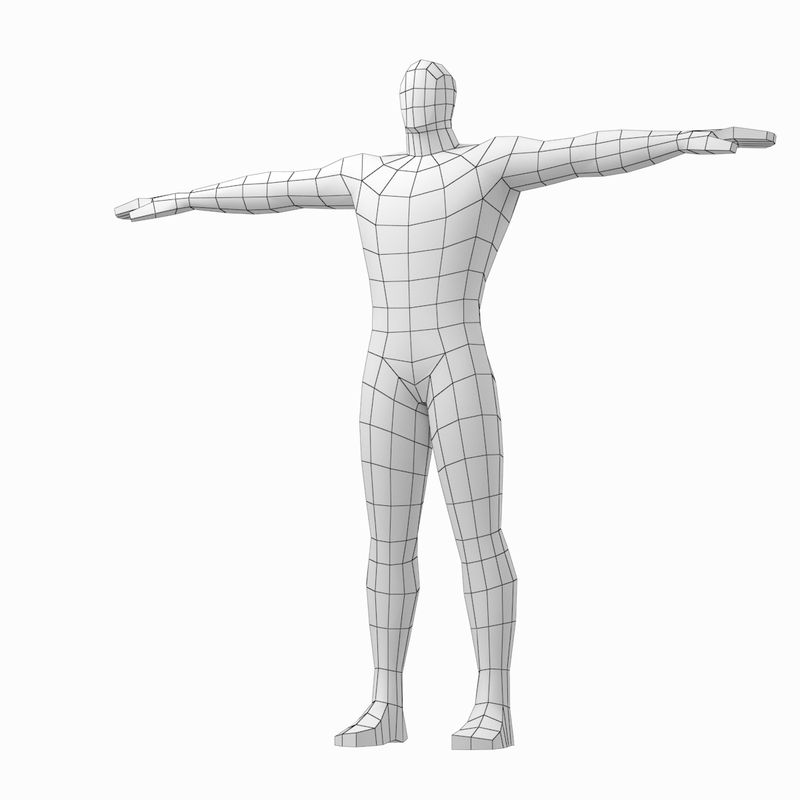 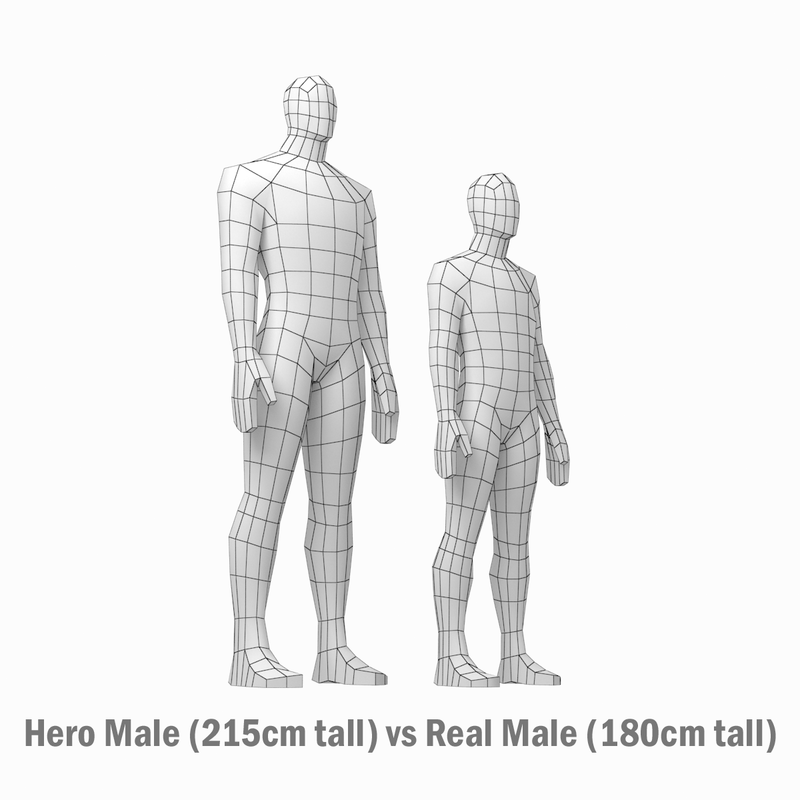 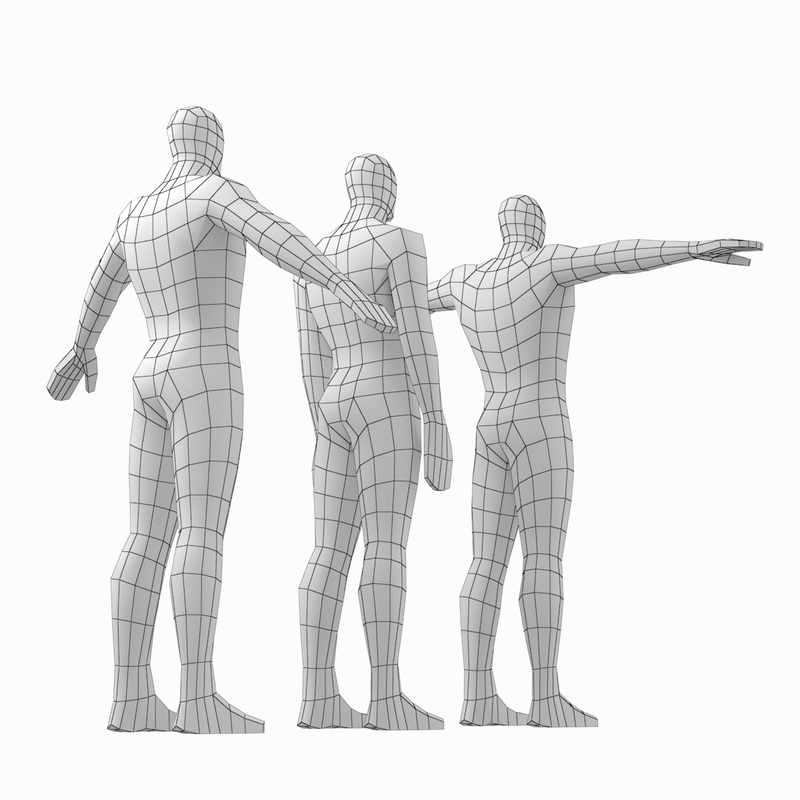 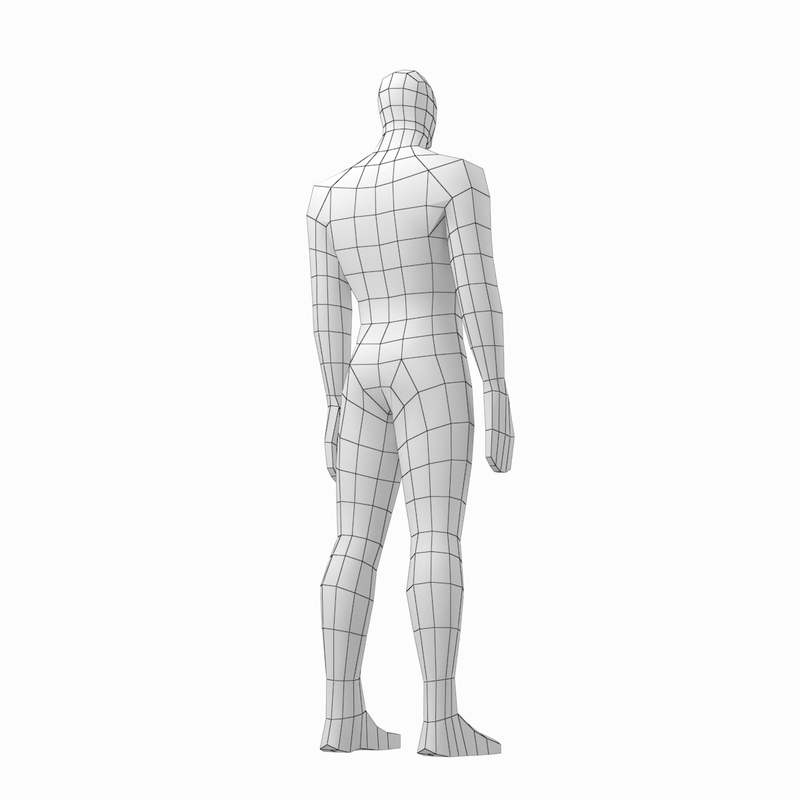 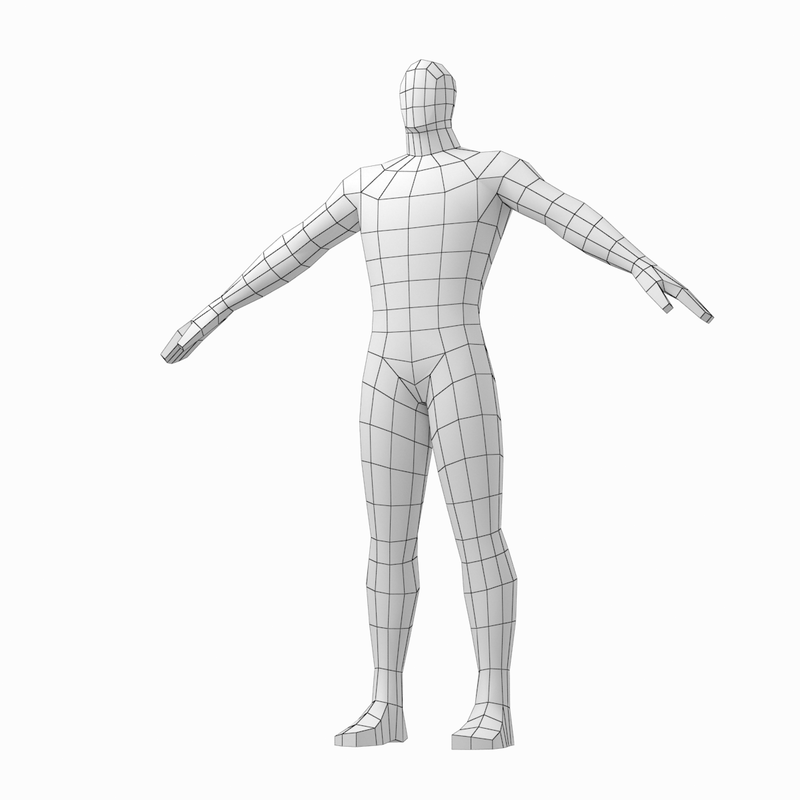 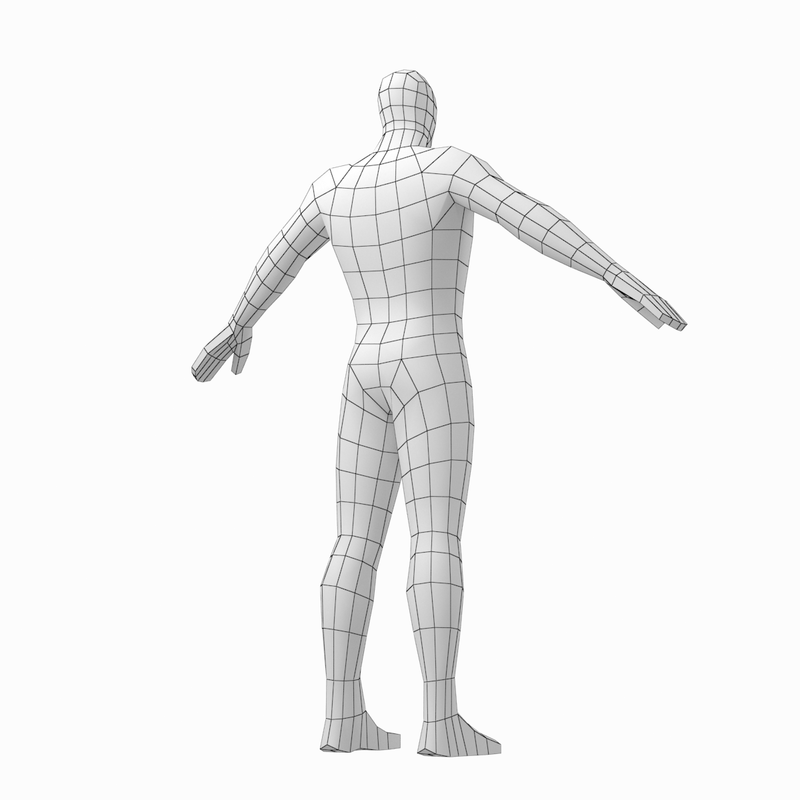 Basic low-poly mesh of hero male body in 3 modeling poses. 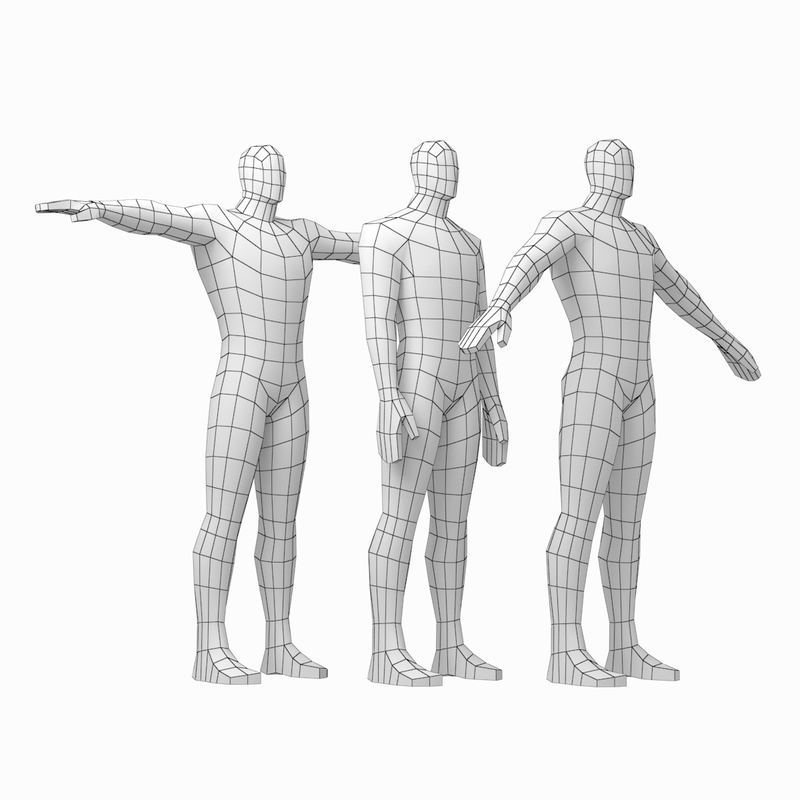 Three modeling poses are presented: Rest-pose, A-pose, T-pose. 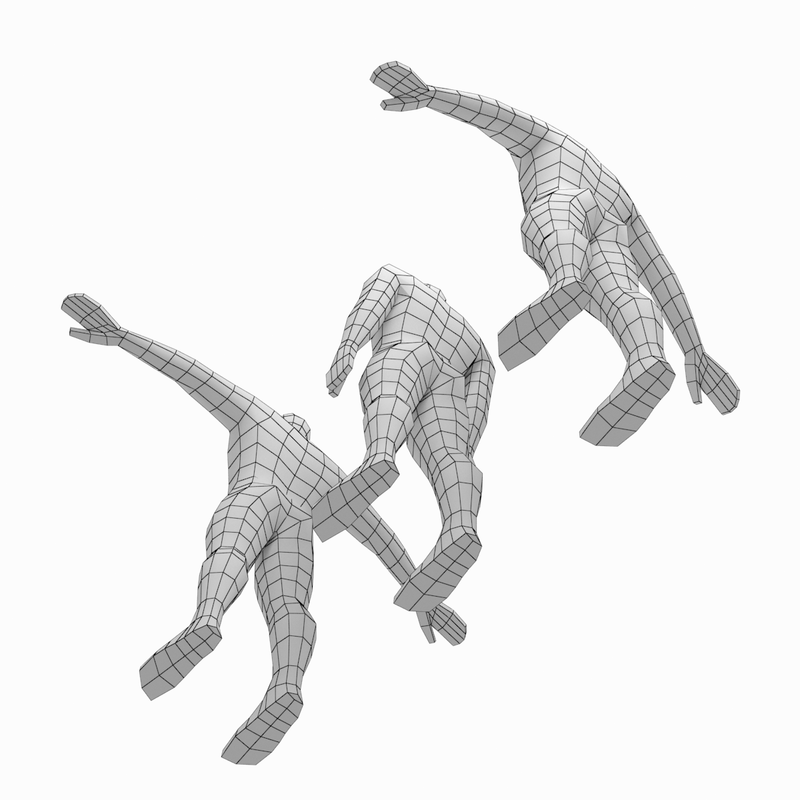 Each pose is put in a separate file.